Residents from these communities traveled up and down the East Coast – and even to Europe – visiting the other communities in their networks, sharing ideas and resources, and in some cases competing with each other. Presidents attended lectures on collective ownership of property. It was the 1840s, and anything seemed possible. The late 1700s and early 1800s brought the Second Great Awakening, a religious revival that swept the country, inspiring countless preachers and philosophers with new variations on familiar faiths. The Shakers believed that their leader, Mother Ann, was the Second Coming of Christ. The Oneidans (who adhered to a type of Christianity called Perfectionism) thought that Jesus had already returned – in 70 A.D. – and it was their job to usher in the kingdom of Heaven by building it themselves. 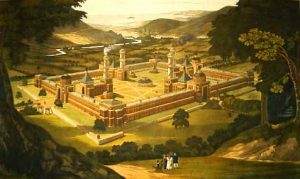 The Owenites bucked the trend with their non-religious utopianism, but still believed that their community, called New Harmony, would lead America into a new golden age of cooperation and egalitarianism. Several of these communities were in close enough proximity to each other that they welcomed visitors from other villages — and from the mainstream world. By the early 1800s, the Shakers established homesteads throughout upstate New York and as far south as Kentucky. They built up a reputation for quality carpentry and architecture – and a mix of admiration and skepticism over their income-sharing, their celibacy, and their religious rituals, which might best be described as a kind of ecstatic dance. Religion wasn’t the only inspiration behind these utopian communities. Around the same time as the Second Great Awakening, the French Revolution and the Industrial Revolution led to a new wave of pre-Marxist socialist and communist thought in Europe. For some of these philosophers, the promise of cheap land on the American continent helped them to attract the followers they needed to bring their visions to life. The French writer Etienne Cabet penned an allegorical novel called Voyage to Icaria, which served as a kind of travelogue to an imaginary land complete with income-sharing, early childhood education, and gender equality. It was the Ecotopia of its day, and countless “Icarians” formed book clubs and working groups to bring Cabet’s vision to life. Several of these groups traveled to the U.S. to establish colonies, with the largest settling in Nauvoo, Illinois – the site of a Mormon settlement that had recently been departed. Another French thinker, Charles Fourier, inspired some of the longest-lived American communes and some of the shortest. For decades, Brook Farm in Massachusetts served as a gathering place for influential thinkers like Horace Greeley, the newspaperman and abolitionist, and writers like Nathaniel Hawthorne. An attempted community near Dallas, Texas, was less successful. Victor Prosper Considerant, a follower of Fourier, led several hundred Frenchmen to settle the property, but they couldn’t get a foothold due to inhospitable weather conditions and lack of food. 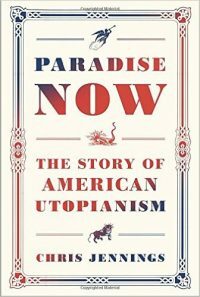 Paradise Now is an eye-opening book, and a must-read for anyone interested in modern intentional communities. Only when we know the full history of community living in American can we understand our own place in it. Those of us who live in community today can learn from the struggles the Owenites faced around income-sharing and collective ownership. We can imagine earlier versions of own debates about vegetarianism, free love, religion, and gender equality taking place at the Brook Farm dinner table. We can see how much has changed – how much closer we are to realizing some of these utopian visions – and how much work we still have to do to get there. Let’s keep at it! 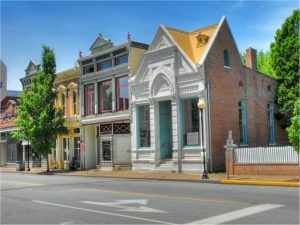 Have you visited any of the communities mentioned in this article? Many of the Shaker villages and some of the buildings of New Harmony have been restored and turned into historical sites. Why not spend some time exploring them and seeing what you can learn from the communities that came before us?